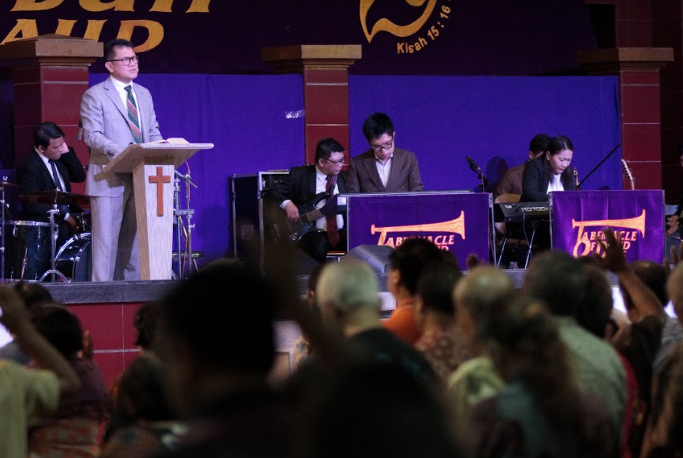 The first service of KPPI (Praise and Divine Healing Service) was held on Thursday, 24 January 2019 at Adventist Building, Jl. MT Haryono, Kav 4-5, Tebet, Pancoran, South Jakarta. 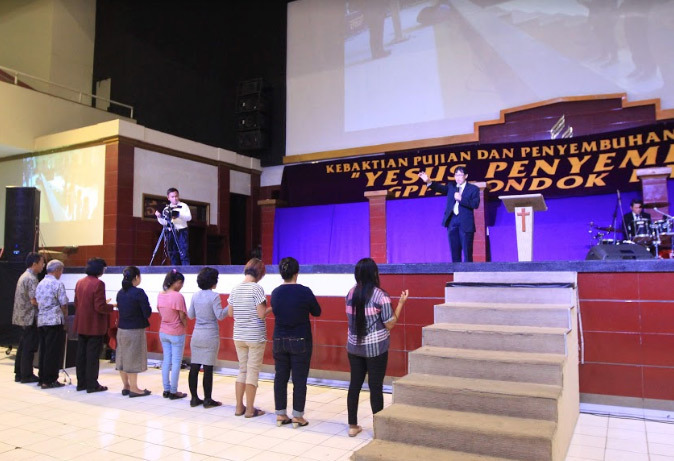 Many people from all areas in Jakarta, Bekasi, Tangerang, and Depok had come. KPPI was also aired through a Live Streaming program that could be watched in Facebook and YouTube. A short film about the ministry of KPPI that has been held for 25 years was presented. God has blessed this nation through this ministry. 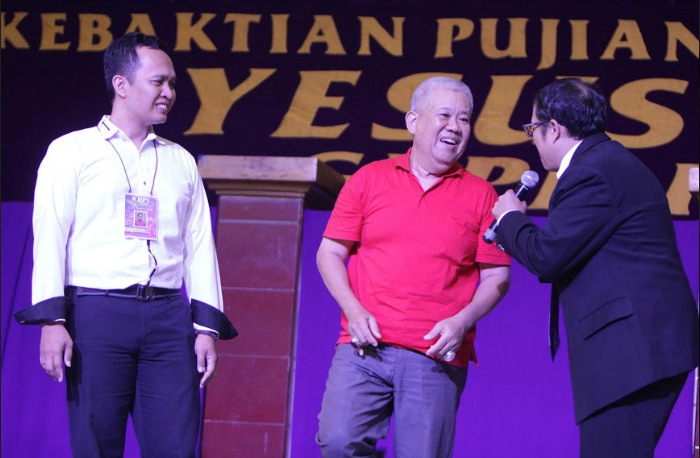 He performed so many miracles to many people as KPPI was held in various places all around Indonesia. A healing testimonial film was presented. 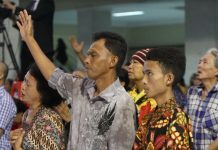 It was about a woman who got healed from back pain for one year when she was prayed in KPPI Live Streaming service in Kupang. 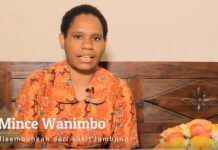 Another healing testimonial film was aired, about a woman who was healed from myopia (nearsightedness) in KPPI Jakarta. Now it happened, the day after, that He went into a city called Nain; and many of His disciples went with Him, and a large crowd. And when He came near the gate of the city, behold, a dead man was being carried out, the only son of his mother; and she was a widow. And a large crowd from the city was with her. When the Lord saw her, He had compassion on her and said to her, “Do not weep.” Then He came and touched the open coffin, and those who carried him stood still. And He said, “Young man, I say to you, arise.” So he who was dead sat up and began to speak. And He presented him to his mother. Then fear came upon all, and they glorified God, saying, “A great prophet has risen up among us”; and, “God has visited His people.” And this report about Him went throughout all Judea and all the surrounding region. Jesus has the power to do miracles. Whatever we believe, no matter how difficult it is, just believe that Jesus can do miracles. Jesus is the Messiah, God who is able to do a miracle. Whatever we ask, believe in Jesus, He is able to do miracles. Believe in His love that God has come to us. 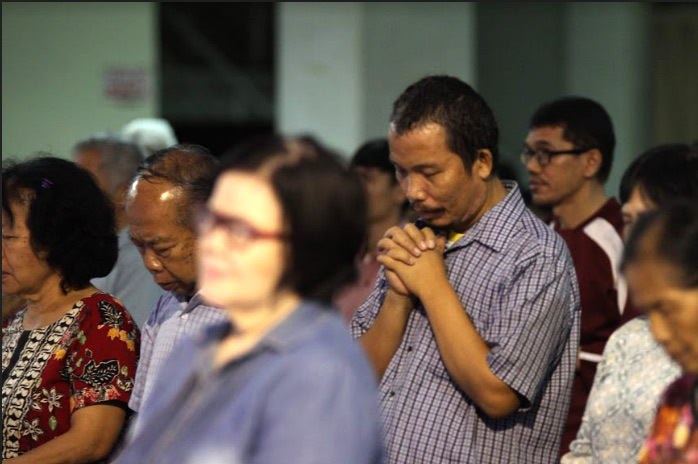 All were invited to believe in Jesus and invited Him to come into their hearts and then saying the prayer to receive Him as their personal Saviour and Lord. Susan Sumbayak stepped forward and led the praise and worshipping session. She called anyone that suffered from heart problem to come forward. Several people came forward and were prayed. God did miracles as some of them felt changing, the pain disappeared and could run strongly. God worked and healed heart problems. Then all the sick people were called to come forward. 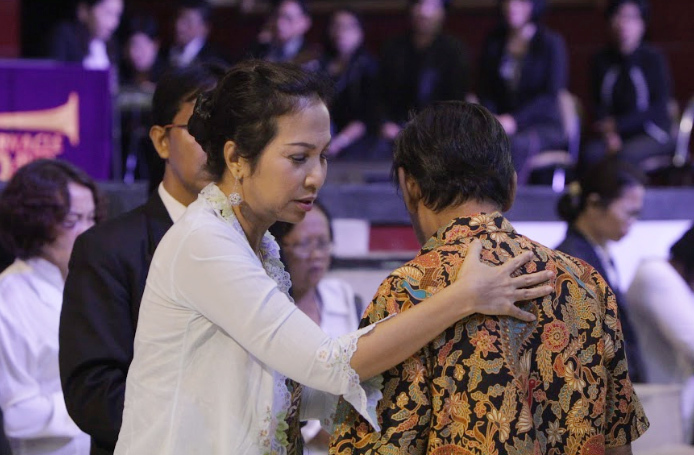 The healing prayer for all of them was lifted up first, then the counselor moved to pray for them one by one. All were praying so earnestly. God worked and answered their prayers. Many healing miracles took place. A lady suffered from a broken leg and always in pain for 1 year got healed. 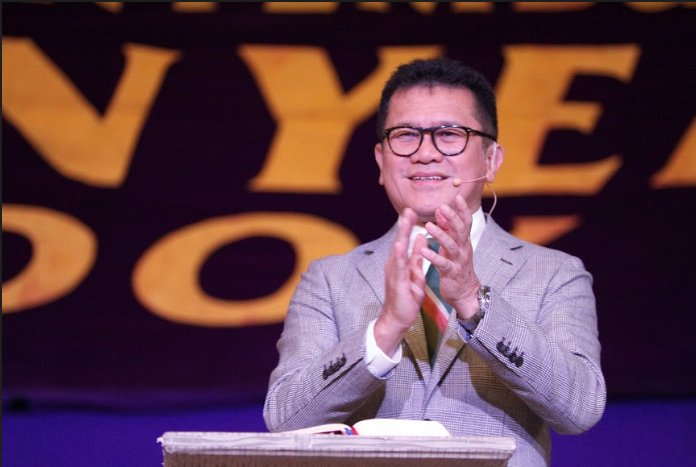 A man suffered from pain on both legs and couldn’t squat for 2 years was healed. A man got swollen heart and complication for 18 years, he could breathe freely after he was prayed. 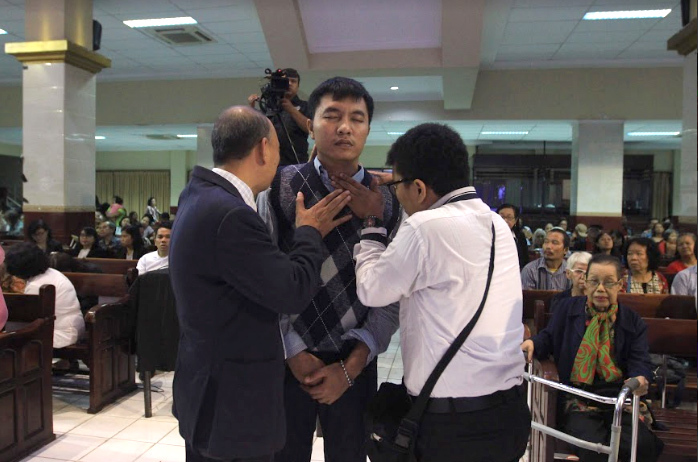 A man got a problem with his neck was healed and could move his neck freely. 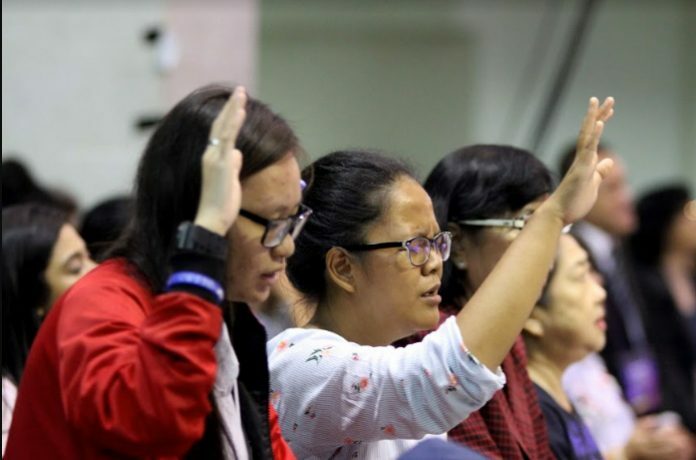 A lady suffered from a nasal polyp in her left nose and always had a runny nose when she ate was healed. A man was healed from heart sickness for 2 months, he could breathe freely after being prayed. A lady who felt painful on the nerves of her head and couldn’t move her head was healed. Praise be to God who had done all the miracles. Another call was given to everyone who wants to give their lives to serve the Lord. They who raised up their hands stepped forward and were prayed. The service was ended with a message that everyone should return back to his own local church to diligently minister there. 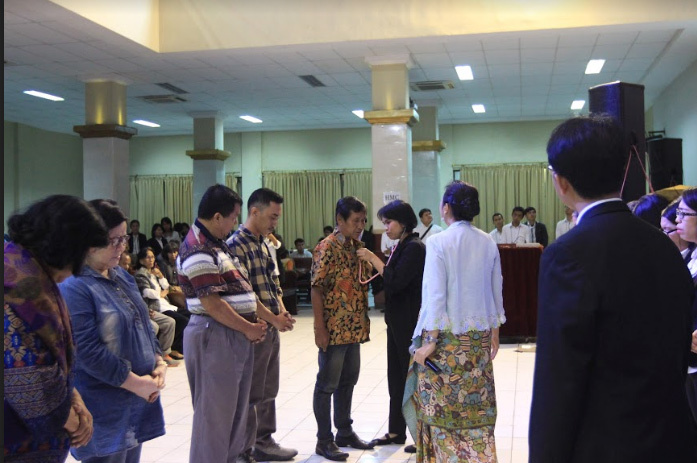 KPPI (Praise and Divine Healing Service) is an interdenominational ministry that has been conducted since 1993 by GPPI Pondok Daud Jakarta.